21st centuries. He and Jay Farrar were the duo ‘Gob Iron’ who in 2006 made the brilliant and what appears to have been just a one off, ‘Death songs for the living.’ They were together again last year with Yim Yames (Jim James of My Morning jacket) and Will Johnson (Centro-Matic and South San Gabriel) to record the Woody Guthrie tribute ‘New Multitudes.’ This potted, if generally insufficient, bio should give some idea of the abilities that Anders has to work with. Kendall Meade has much in common with Anders, having had her own band Mascott. They too don’t seem to exist now and she has since worked with, amongst many others, Sparklehorse as well as providing vocals on all of Anders albums since Varnaline, so it should be no surprise that they now choose to do this duo project. The fact that both are such good vocalists hardly harms their chances of succeeding with the project and when you add the instrumental abilities it is surely a musical match made in heavan. 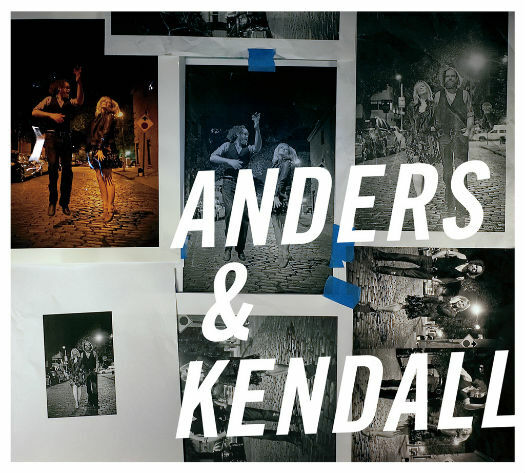 Until this album I was unaware of Kendall but her vocals certainly are gorgeous, whether on duets, harmonies or solo and It’s easy to hear why Anders has worked with Jay Farrar, both men having that ability to render any lyrics emotive. On this album the vocals are shared pretty much 50/50 as apparently, is the songwriting. There is a sympathetic production from Scott Minor and the album was recorded at Anders ‘Wild Chorus’ studio, the location from which the album title was taken. The album probably best qualifies as ‘Indie pop/rock, thanks in the main to the instrumentation used although there will always be an obvious rootsy Americana feel to anything that Anders contributes vocals to. vocals and harmonies. I found myself listening more to the‘sound’ of the album than the lyrics and really enjoyed much of the beauty of that vocals driven music, but found with repeated listens that the songs tended to blend into each other with few of the songs really sticking in the memory. There are however some beautiful slow moody ballads, such as Oh Love,which gives a nod to country music with the chiming repetitive electric guitar and the beautiful steel guitar. There are also several mid tempo songs such as the excellent Dreamers On The Ground and Getting’ Ready both of which rattle along with electric guitars and those tremendous harmonies, something that ultimately is what I’ll remember this album for. There are far worse reasons for remembering a recording!